The third Kota Kinabalu Food Festival (KKFF) kicked off on 1st April, with the main highlight happening on the weekend of the 6th and 7th April during the Opening Bazaar held at Suria Sabah from 11:00am to 8:00pm. The Opening Bazaar introduced all of the festival's participating restaurants to the hungry public, offering a chance to showcase fine food or sell products in a very visible space. Booths were set up for the participants from four different categories: restaurants, cafes, bistros and hotels. Participants included The Retro Club, Aubergine Bistro, Lucky Bean, Cristao Café and Grill, The Tea House, Newspaper Café, Yu Café, Ferdinand's, Nagisa Japanese Restaurant, The golden Dew Bistro, Silk Garden, Shang Place, The Chinese Restaurant, 90's The Restaurant and More, Bintulu Korean Restaurant, Bella Restaurant, Brooklyn Restaurant, Bomber's Burger, The CHUBs Grill, Cherry Restaurant, Hungry People, Emperor's Delight, Malisa's Flame Grilled Chicken, Kampung Nelayan, Tasty Wok and Red Place. Exciting activities were also held during the Opening Bazaar such as a children's colouring contest and games including the Buy and Win where visitors who purchase anything above RM20 at any of the participating booths will have a chance to participate in the Yummy Pick and win attractive prizes. The magazine serves as a guide and directory that offers information and contact details on all of the restaurants, as well as brief descriptions of their main offerings, specialties and bestsellers. Readers will also find out about the Festival Menus which showcase the restaurants specialties through either one dish or a set menu. Trying out these menus is the key to joining the Stamp and Win Contest. A full page of the KK Food Fest Magazine serves as an entry form for this special contest, which offers some very attractive prizes! Throughout the month of April, look out for a special KK Food Fest board which will be rotated at Suria Sabah, Citymall and the Terminal 2 Airport. The board will display the QR Code of each participating restaurant and by scanning the QR Code, the public will be entitled to join the Scan and Win contest. 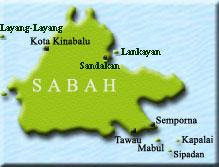 The Sabah Industry Food Expo (SIFE) will also be held at Suria Sabah on 20 to 21 April. This expo on the other hand will highlight bakeries and food manufacturing companies. And the festivities will end with an exclusive by-invitation-only Closing Cocktail on 30 April, designed as a networking event to announce festival winners and as a gesture of gratitude from the organisers for the support of the KK Food Fest's participants, sponsors, advertisers, invited guests and members of the media. The Kota Kinabalu Food Festival is an annual event that aims to encourage greater standards in the food and beverage industry and to stimulate patronage of local restaurants. 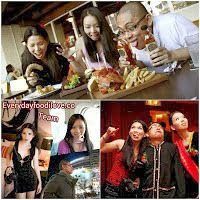 For further information, visit the event's official site at KKFoodFest.com or its Facebook page at fb.com/KKFoodFest. The event is organised by Maxx Media Sdn Bhd and is endorsed by the Ministry of Tourism, Culture and Environment Sabah. Its main sponsors Guinness Anchor Berhad, Saza Rice, Indocafe and Wilti Jos (for sound and light).